Finding a place to eat along the Gulf Coast can be difficult. Unless you have an unnatural fondness for Waffle House, that is. Apparently, lots of people do since they are *everywhere*. 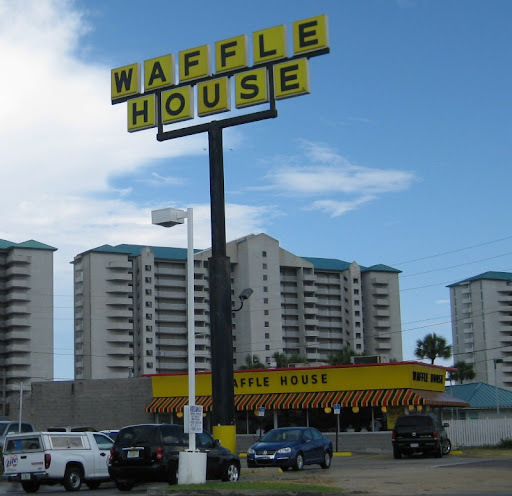 Seriously, what is up with all the Waffle Houses? On one stretch through Mississippi and Alabama, they were packed in so tightly that often while passing one you could already see the next one coming up. The beaches were very nice, though. 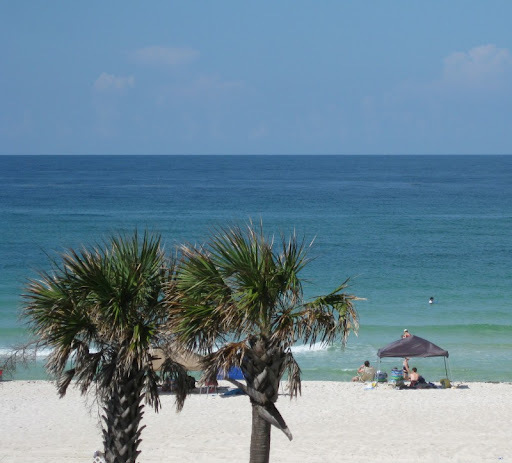 We stopped in for a few days in Panama City Beach. Crystal clear water at just the right temperature. Anticipating that good eats were going to be a problem, we booked a place with a kitchen. 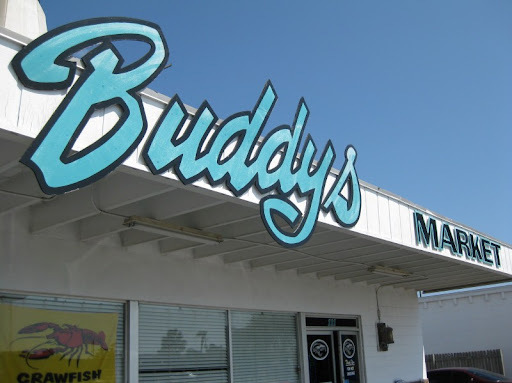 We went up the road to Buddy's Seafood Market to get something to cook up. They had a small, but nice selection of local fish and shrimp. Shrimp seemed like a good call. 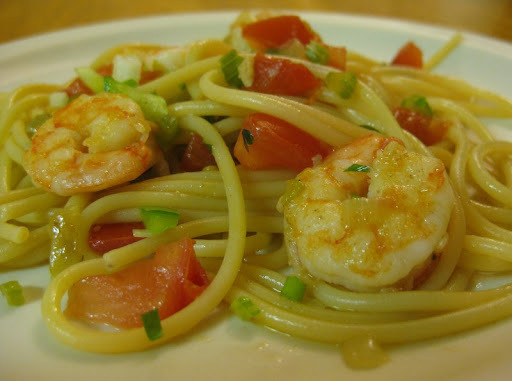 With New Orleans still on our minds, we came up with a dish we called Trinity Spaghetti with Shrimp and Tomatoes. Sherry used the heads and shells to make a quick stock that she used as the basis for the sauce. The final dish came out quite well. It didn't hurt that the shrimp were fantastic - great texture and flavor. Heat a large pot of water for the pasta. Rinse and drain shrimp. Remove the heads and peel the tails, retaining all the heads and shells. 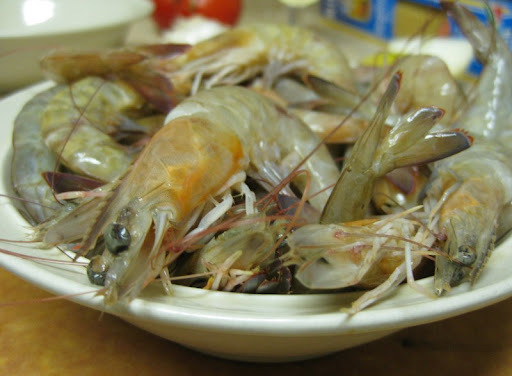 Remove the vein from the back of each shrimp, then rinse, drain well and set aside. Heat a small saucepan over medium-high heat. 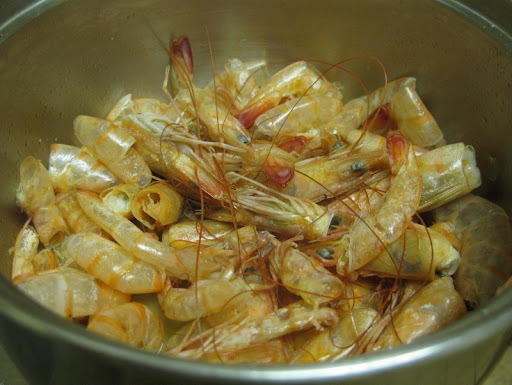 Add 2 teaspoons olive oil, then the shrimp-heads and shells. Let sizzle, stirring occasionally. After 5 minutes, add 3 or 4 tablespoons of water to the shells and stir. Repeat 2 or 3 times to create a few tablespoons of rich seafood broth. Add salt to the boiling water then drop the pasta. Heat a saute pan over medium-high heat. Add 1 tablespoon olive oil, then add the shrimp in a single layer. Cook 3 to 4 minutes, turning once, until pink on the outside and just opaque in the centers. Sprinkle lightly with salt, remove from pan and set aside. If necessary, add more olive oil to the saute pan. Place about 2/3 of the celery, onion and bell pepper into the hot pan, sprinkle with kosher salt and saute about 2 minutes, then reduce heat. Drain the seafood broth from heads and shells into the vegetable mixture and stir through. Add the remaining celery, onion and bell pepper just before pulling the pasta. When the spaghetti is al dente (9-11 minutes), drain and mix with the sauce. Top with the cooked shrimp and chopped tomato, stir gently and serve. I can't believe you went to a Tuscon truck stop and didn't visit a Waffle House. I had my first experience last February in Sarasota FL. Let me say that their waffles are flat, flaccid, and generally unspectacular. But the atmosphere is a nice slice of the redneck, especially if you go early in the morning. Trent - there is still time left. We're still seeing plenty of waffle houses (currently in North Carolina). Nothing like the absurd quantity on the Gulf Coast, though. One thing good about a Waffle House... it is always open. Don't knock the scattered, smothered, covered, Chunked, diced, peppered, capped, and topped hash browns. They also have a jukebox playing 45s in nearly all of them. Started in Georgia BTW. But now a chain. I was in a band way back that traveled a fair amount. Our singer wrote a song titled "Waffle House" and the chorus involved "How many Waffle Houses does it take to get our destination?" The South has been treating us very well so far.